Madrid’s fashion week—Mercedes Fashion Week Madrid to give its official title—might not be the one that fashionistas think of, but Lucire saw some enjoyable, high-energy collections during the collections in July, strategically timed to avoid clashes with the big four and to show off the best of the Iberian capital. July is one of the best months to be in Spain, with an active vibe in the city, and this certainly impacted on how positively the spring–summer 2019 collections were seen. People were more cheerful, and there was a sense of living in the future: normally we’d have to wait till August to see what designers are thinking for the following year’s spring season, but here we were, weeks ahead, peering into a crystal ball. It wasn’t just the established Spanish designers who wowed—understandably, with a fashion environment such as this, somewhat freed from the restraints of the major capitals, there was new energy among the emerging. We already know that Spanish design excites with the years we’ve covered Custo Barcelona at New York Fashion Week for the good part of two decades. Now think of that lead, built upon by the next generation. This is a quick peek into the week, with some of our favourites. 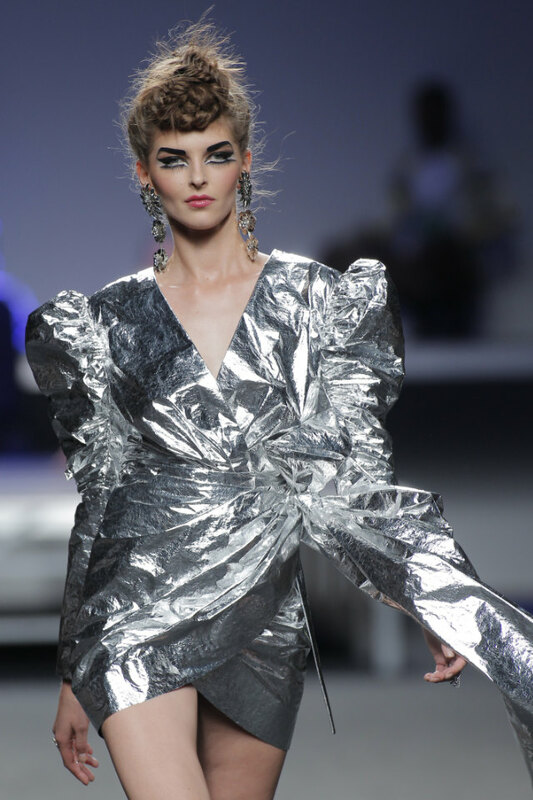 Ana Locking called her collection Realness, based around the voguing subculture and an exploration of its origins, namely in 1980s ballroom dance. She held a jaw-dropping New York ballroom party on the catwalk to showcase her avant-garde collection, her three dancers competing to see who could execute the best moves. Patterns recalling royalty, ruffles, sequins, organza and jacquard featured in a collection that Locking saw as fundamentally founded on the idea of freedom and the search for personal identity. Yes, of course we’re going to cover Custo Barcelona. 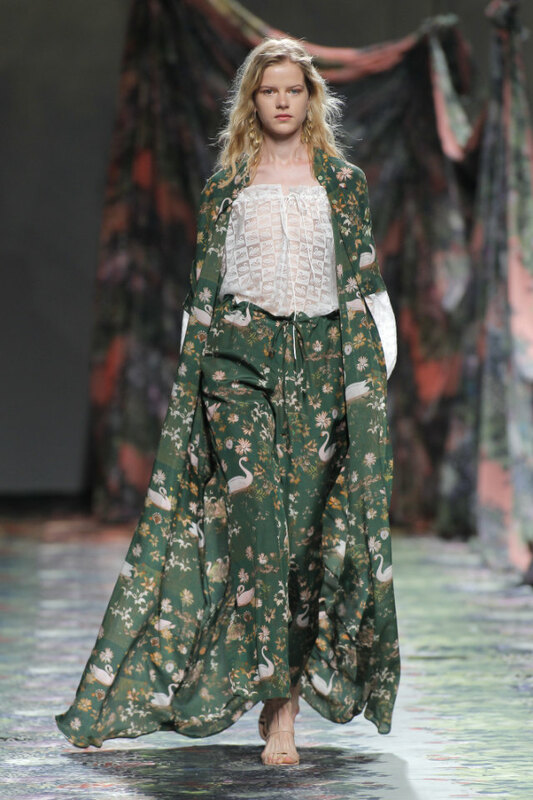 Custo Dalmau has continued to experiment with fabrics and prints and he’s not afraid to push the label even further. There was plenty of colour with 60 looks, betting on the courage of women worldwide to stand out from the crowd. And why not? We’ve had far too many years of being cautious. 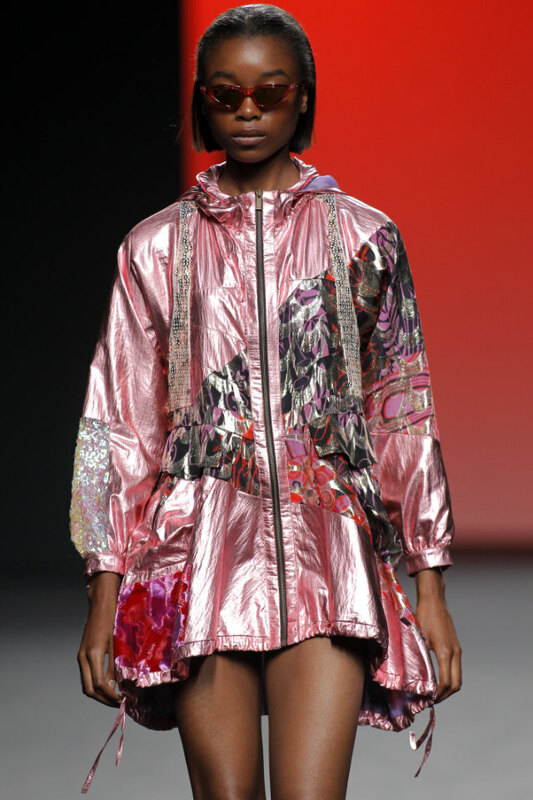 Bodysuits, coveralls, bomber jackets, and coats, as well as minidresses and swimwear appeared, and there was the return of the metallic, though in more unexpected patterns. Aitor and Iñaki Muñoz, the brothers behind Ailanto, were inspired by the Art Nouveau movement, in particular the work of jeweller René Lalique. The decorativeness, especially the use of flora and fauna patterns, and the muted colours (aquamarine, grey, quartz rose) recalled Lalique’s jewellery and glassware; the fabrics were made to look like paintings, each dress having an ethereal effect. This was a soft, relaxing collection, one that will lighten the senses come spring–summer 2019. 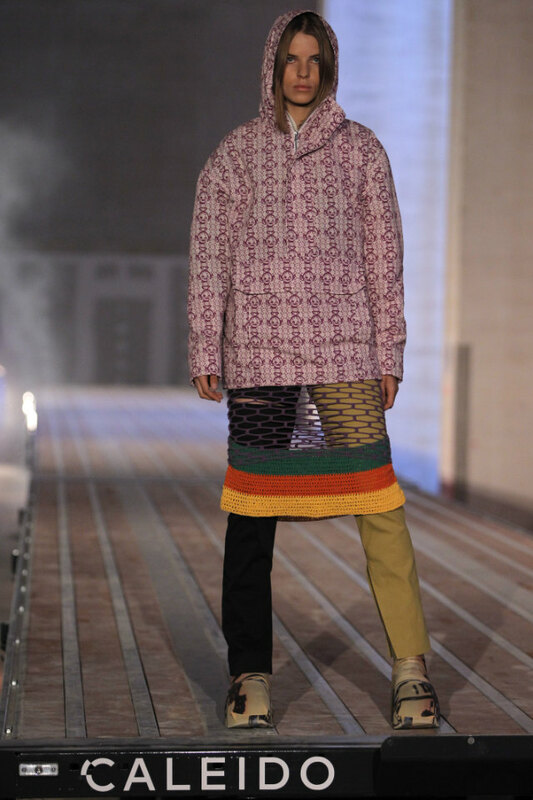 The Czech designer was invited to show at Madrid, and unlike the locals, Kost went for greater restraint, his collection inspired by English boarding schools, with his collection, Fulste una vez, como somos ahora (you were once what we are now). However, he worked in deconstructed designs, especially his woven sweaters with breaks in their forms, while the black base he adopted was contrasted with traditional white shirts. 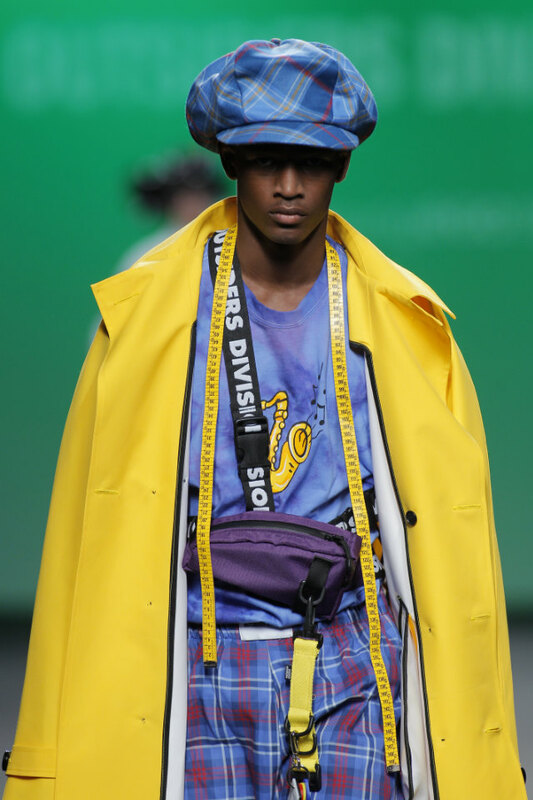 David Méndez Alonso, Alejandro Gallifa and Alberto Perancho, the three designers behind Outsiders’ Division, didn’t hold back from bold colours in their Chico Sensible collection, rethinking menswear by deconstructing silhouettes. 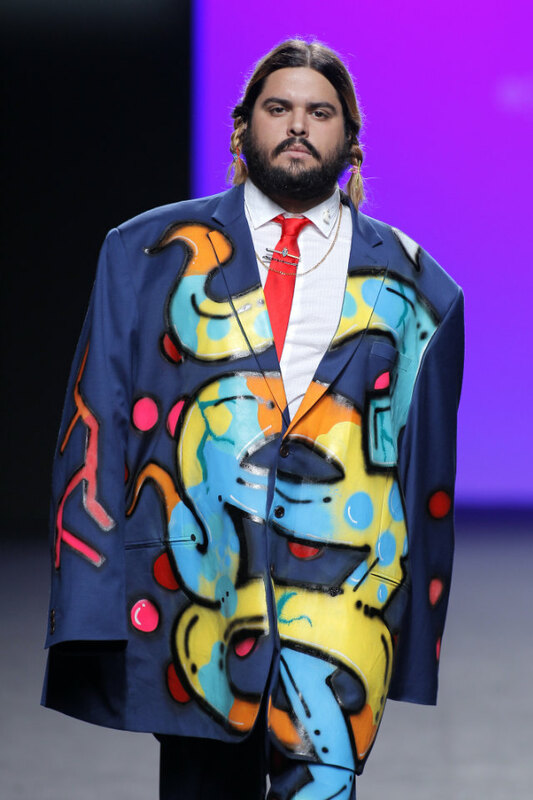 There were paint and prints galore, oversized suits, flower-embellished hats, and suspenders and multiple pockets for utility. Utility bags added to the collection’s function. The message: wear your heart on your sleeve and be authentic to yourself. 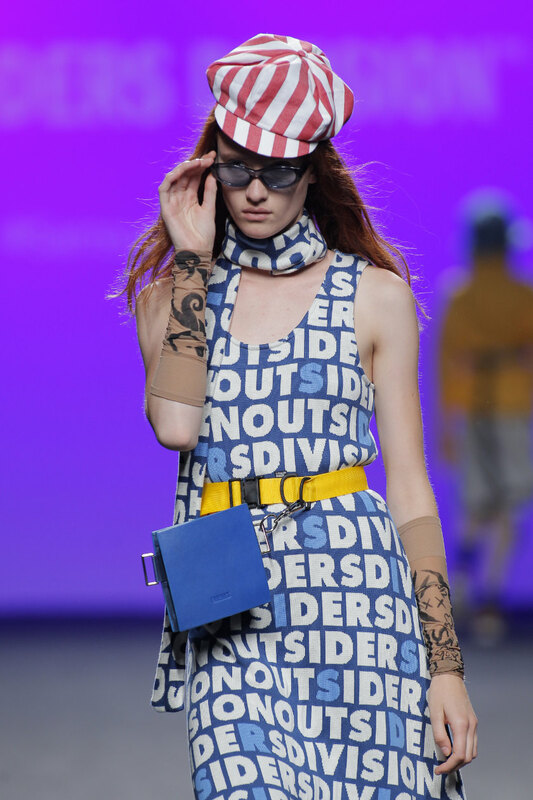 Shown jointly with Christian Simmon, Outsiders’ Division proved to be one of the most memorable up-and-coming labels at Madrid.